We will be providing a GUEST MIX for dj kyo vs dj ray's show, Elements Of Trance. This time around, we will be doing a non-vocal set, hope you don't mind! When: December 03, 2006 @ 2PM-4PM US PST, CONVERT TIME. Where: Elements Of Trance @ Party 107, CLICK HERE TO CHOON IN! I will get the mix when it comes out, that's for sure. I am a loyal Dj Gt Vs Project C fan. Should be very interesting to hear an instrumental trance mix from you guys. I'm surprised no one has posted but me. I am the first this time! I feel special. im intreseted to hear what you 2 come up with, is this going to be progressive or trance? most likely some trancey pants! what generation eh? 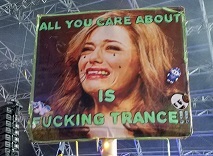 the trance generation? It's the new generation. The 21st century. owk, let's wait... till we can hear it ! DDL's...? I must hear this. Can't get enough. This mix will be available here, right Gt? I can't wait to download the mix. As soon as it becomes available, that is. Will the mix be available anytime soon Gt? Posted: Sun Dec 10, 2006 11:57 am Post subject: hmm ! I can't wait to hear this too. well actually its available already. though not here - i thought it'd be posted firstly on this board..
Oh can you give me the link for it? Thanks. There's going to be a replay of this mix on ETN.FM on Sat, 12/23, details to come soon. I will provide downloads until then. I found the mix already. I did a search and found it on some forum. see, i told you google was your best friend! I didn't know the mix was even available somewhere else till Netholic told me. I try finding lyrics and I don't always find it successfully. where is the site that i can d/l this? ?